Homemade Poppyseed Salad Dressing for Salads that will Rock Your Socks Off! Do you ever have homemade poppyseed salad dressing at restaurants and wish you could recreate it at home with your own real-food ingredients? And don't you especially want to get rid of the disgusting vegetable oils that you know they use, like soybean or canola oil? Well now you can, because our daughter and I have been experimenting and do believe we have nailed it! 2/3 cup of your favorite natural sugar, this time we used regular old organic cane sugar, but organic palm sugar would work well too for extra nutrients. 2 teaspoons grated fresh onion – you want it grated so it's just small bits of the flavor in there. Using a food processor or blender (I love the blender on my Bosch and it's still going after more than 8 years now and I use my Bosch a LOT), mix together the first 5 ingredients, then slowly add in the oil and it will thicken. Stir in the poppyseeds and it's ready to serve. Here are some salad recipes that you could adapt for this dressing. 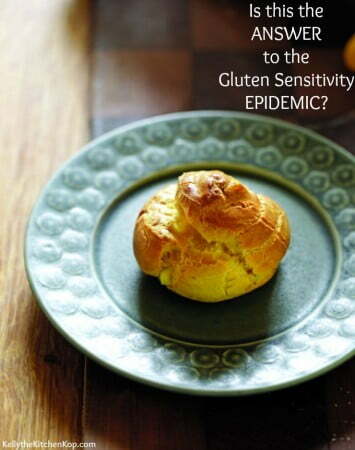 Could THIS be the answer to the gluten sensitivity epidemic?! What's the difference in these healing diets — GAPS, SCD, or Low Fodmap? 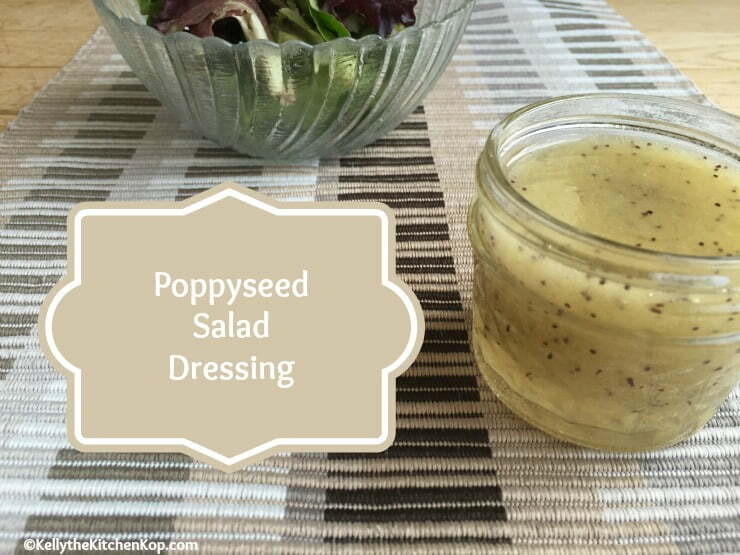 My 12yo son loves poppyseed dressing! Sounds amazing!!! Can’t wait to make it. Thanks! Oh I love this dressing but wish it was lower in sugar. Yeah, but it’s not as good :), I’ve tried. But I still make it, just not all the time. It’s one of my favorites. No I haven’t, but if you do, let us know how it tastes! You’re welcome, you’ll love this one!